Back in September, Kickstarter fans in Singapore were thrilled to find out that a brand new retail store will be bringing in some favourites from the crowd-funding platform. 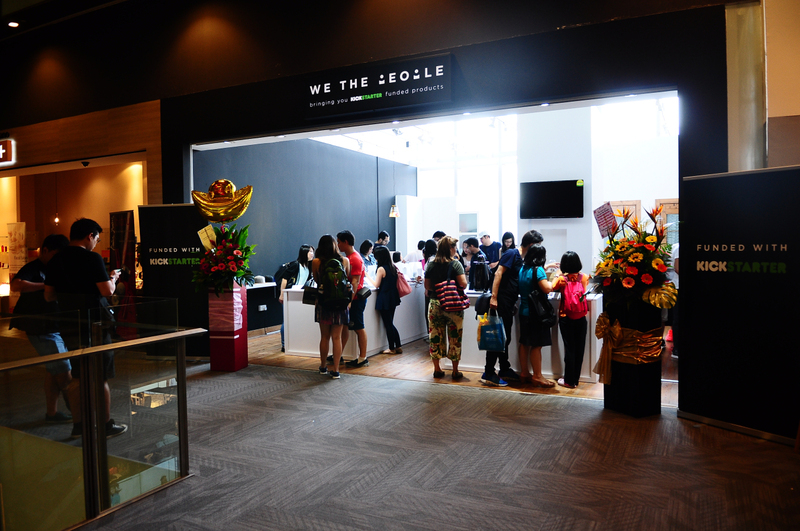 Located in the heart of town at Orchard Central, its concept was simple – interested parties could handle and explore the products before deciding on paying for them. Founded by Korean designer products consortium SOOZIP and local product designers Kisetsu.co, who themselves, are Kickstarter success stories, the announcement was received with much fanfare among our readers. Fast forward 7 months later, and the team is back with the announcement of a brand new outlet at another part of town – Millennia Walk – come 25 March. The outlet is said to be 2,000 sq ft large – and its concept is slightly different from the first store, because besides the retail side, the new place also houses a workshop area, a space for designers, and a cafe. But given the news we’ve been getting about how retail is dying, and how our malls are emptying out even before you can say “rental rates are too high”, I found it pretty intriguing as to how the store doesn’t seem to just be surviving, but thriving as well. 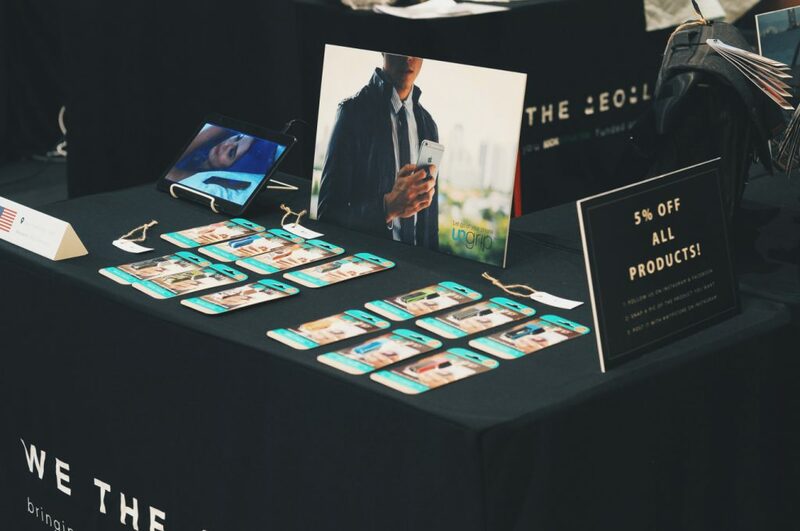 I caught up with Ryan Sim, co-founder of the We The People store and Kisetsu, and found out more. The first Kickstarter retail store opened just a few months ago, and it’s pretty fast that you’re already expanding! What made the team realise that you all needed a new space? We’re getting more and more new brands every month and we really didn’t want the shop to look cluttered. A bigger space allows for more breathing room for the products. It’ll also mean that we can host different activities that we previously couldn’t. How has the reception to the first store been? Was it better than expected? It’s been really exciting – much better than we gauged. We’ve even got a good loyal following that pops by check on the store weekly just to see if we’ve brought in anything new! We’ve had the opportunity to meet and connect with so many types of people, local and foreign. It’s great how crowdfunding can bring people together like this. What were some of the most popular items? Why do you think so? Magnetic post-it notes definitely take the cake. They’re like regular post-it notes that are statically charged so they stick on to ANY surface. AND they’re have a reusable whiteboard surface. It’s a no brainer, haha! We also have quite a range of coffee products like the Cafflano Kompact and Cafflano Klassic which are super popular…I’m quite sure it’s because this country runs on caffeine. Rental is really expensive, especially in a place like Orchard Central – how did you manage to not only survive, but thrive? We have regular roadshows and pop up markets around the island which help a lot of sales and branding, and in turn brings more people back to the store. Were there more items that you brought in after the ones that were mentioned in the first press release? Woah, we have so many now! We started off with 15 brands…. we now have over 50. Are customers already fans of Kickstarter, or did they not know about them until they wandered in? A good portion of customers already know of Kickstarter. 7 in 10? 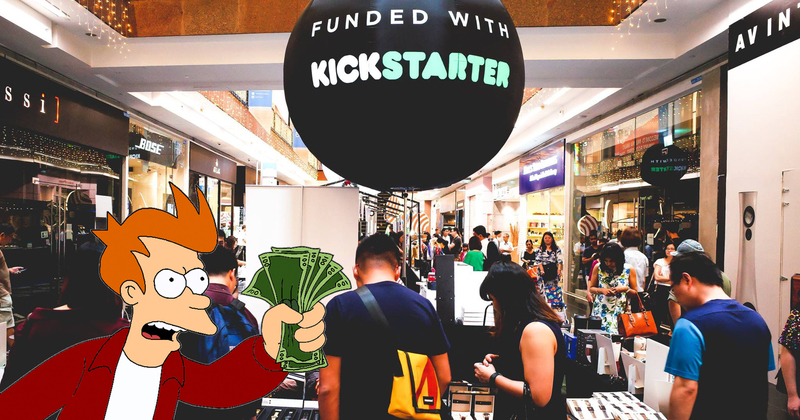 The people that don’t know just think that it’s a really cool shop with cool stuff, until of course, we give them the 411 on Kickstarter and crowdfunding. What are some of the comments you got from visitors? “Great concept!”, “Finally I can see Kickstarter products”, “Is this the only shop?”, “Y’all are doing something right!”, “Is this all for sale?” – something like these. Tell me more about the new space – why did you decide to come up with a concept that also includes a workshop area, a space for designers and even a cafe? For the workshop and speaker space, this area will serve to facilitate sharing sessions that are open to the public. Guest speakers will discuss topics like Kickstarter, product design, growth hacks, and so on. It’s important to educate so that people know how products are conceived – the stories, struggle and passion behind every brand and how amazing crowdfunding can be. The workshop will serve to motivate and empower individuals to start creating. On days when the space isn’t used for talks, it will for anyone to use to assemble products purchased from our store. For example, Brikbook, Ugears, and so on. The designer space will be where the pre-Kickstarter entrepreneurs will market their products. The idea is to sell and gain insight directly from customers, refine the product and pricing, and launch a Kickstarter campaign (phase 1). We’re working with SOOZIP for this. Once they launch their campaign on Kickstarter, they’ll begin “live-funding” on site (phase 2). We’re taking crowdfunding to the next level here by combining online and offline presences. People can then touch and feel the products before they choose to back it on Kickstarter. The retail space is where all the successfully funded projects that we chose to bring in are for sale. This is where we take new brands and products to market. We take product and brand knowledge very seriously here because we want to best represent each brand to the best of our abilities. We don’t just sell products, we build brands and stories. Finally – the cafe! We’re taking the next step up in retail by letting customers actually use Kickstarter coffee products to brew their own coffee or tea. We have the Cafflano Klassic, Cafflano Kompact, Hyperchiller, Goat story mugs and Dripo. These are free to use and customers need only purchase beans and grounds. First come first chope! Also, the cafe will be operating out of a 1950’s Citroen Ice cream van that we purchased. All in all, this space will entertain all types of people and even families. 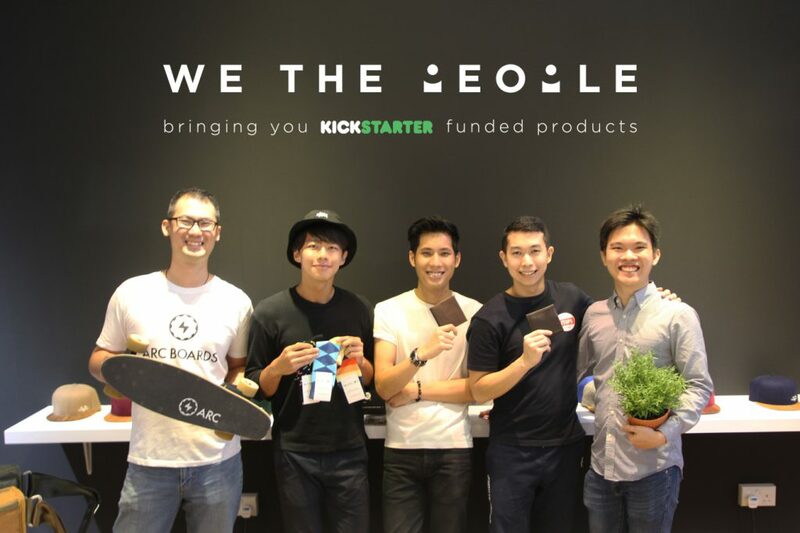 Do you think there’s a rising number of Singaporeans who are putting their goods on Kickstarter? Well, that’s only natural since Kickstarter opened its gates to Singaporeans. They only did so because Singaporean backers are the most in Asia! 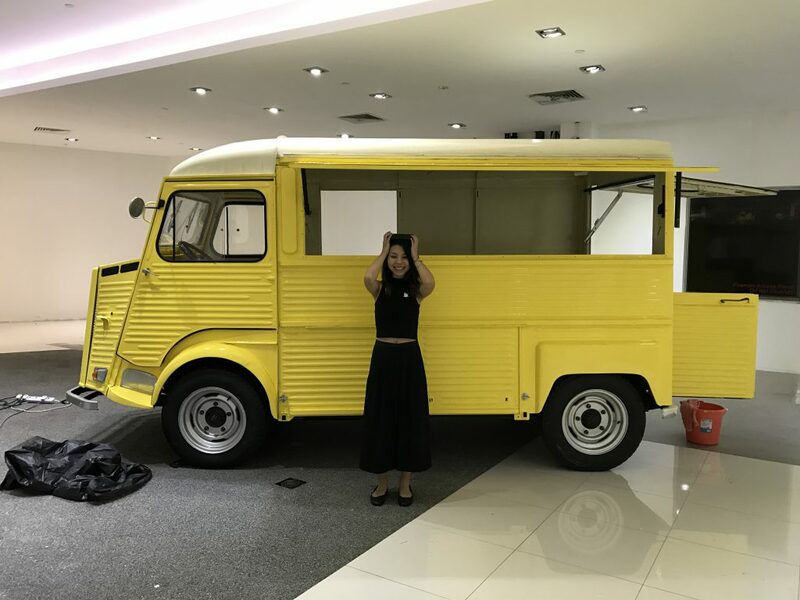 We have so much talent here in Singapore, but unfortunately not all of them know that crowdfunding can be just what they need to turn their ideas into viable businesses. 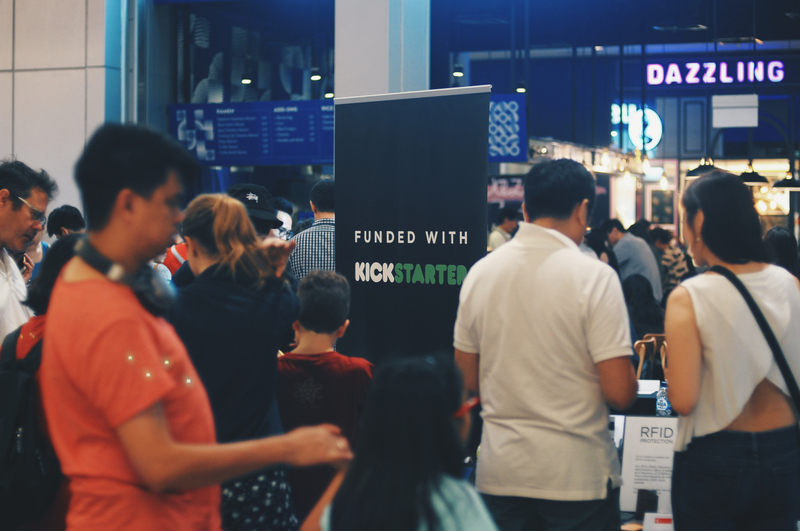 What do you think the future of Kickstarter in Singapore will be like? There are definitely going to be so many new creators. An entrepreneurial boom. We’re waiting to see the next Kickstarter millionaire! I think that Kickstarter and crowdfunding are the next big thing. Schools have already begun to adopt it. Take NUS for instance. It’s just a matter of time before crowdfunding becomes a whole course! What do you wish to tell readers about the new store? There’ll be 10% off storewide on launch day (25 Mar), and we’re going to be launching the Brikbook and Code10 backpacks on the day too. Join us on the 25th, touch, feel and shop for all your Kickstarter favourites, have a coffee and maybe even learn how you could start your very own Kickstarter campaign! Those interested in the launch can RSVP here.